Their prints and combinations are constantly keeping up with the latest fashion and color trends. 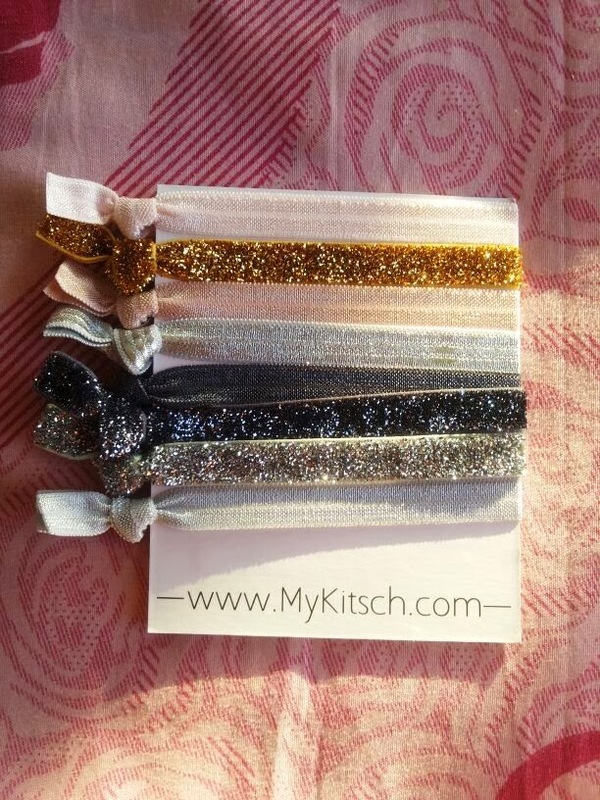 There’s a hair band to fit your personal style as their selection ranges from edgy animal prints, chic glitter, colorful tie dye prints, lovely lace, sassy mustaches, feminine floral, bejeweled prints, luxe link chains, ombre and more! 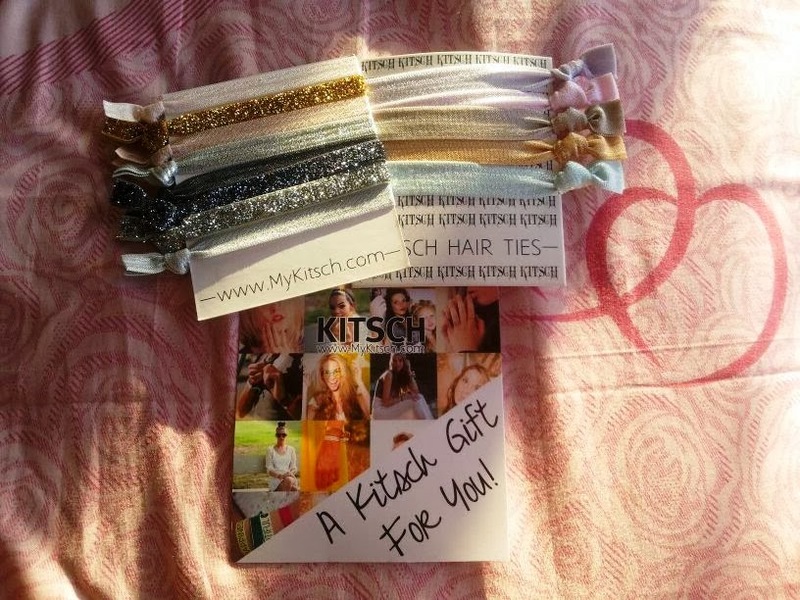 Their hair ties are great to use during your fitness routine, to party, at the office, in class, or relaxing at home. And they're made from super soft, durable elastic so they don't bend, crease or get tangled in your hair. Their cute ties can double as chic bracelets you can stack, layer, and collect. If you're feeling flirty you can pair a glitter tie with a heart print while edgy fashionistas can pair a skull print tie with black glitter. The possibilities are endless! These stackable ties are celebrity favorites and are often featured in various print and online fashion publications. Aren't these cute? I adore them! 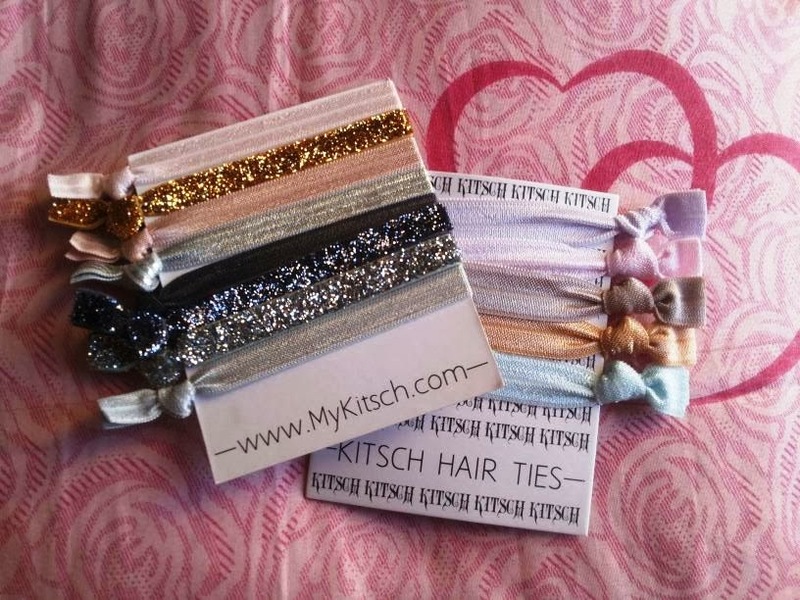 What do think of Kitsch's hair ties? Hope you're having a grand weekend so far, June. Those hair ties are so cute! Oooh they are so lovely! I have some of these and absolutely love them! Great products! These are really sweet and look fun to play around with and experiment with different styles. Have a great and productive week ahead! Such an incredible idea......(KITCH)look so perfect............i like them much......... very nice post June ;-) keep in touch -please add on my blog,kisses.. I agree with you, June, they are so lovely! I have them so cool! As you know I have quite long and I think these hair ties are a must for me.. I leave my hair open when I dress but always have a hair tie in the wrist as I have to deciplsin my bushes.. Going to check the we'd shop out..
U say people don't dress like that in Pune but I have heard that people go out in anything they like and it doesn't matter, but I guess those are just stories.. I so wish u were in delhi, we would have had a blast, I feel we have the same wavelength..
Do u have any other social media account where we can be in touch !!! Thanks for the shoutout girl! 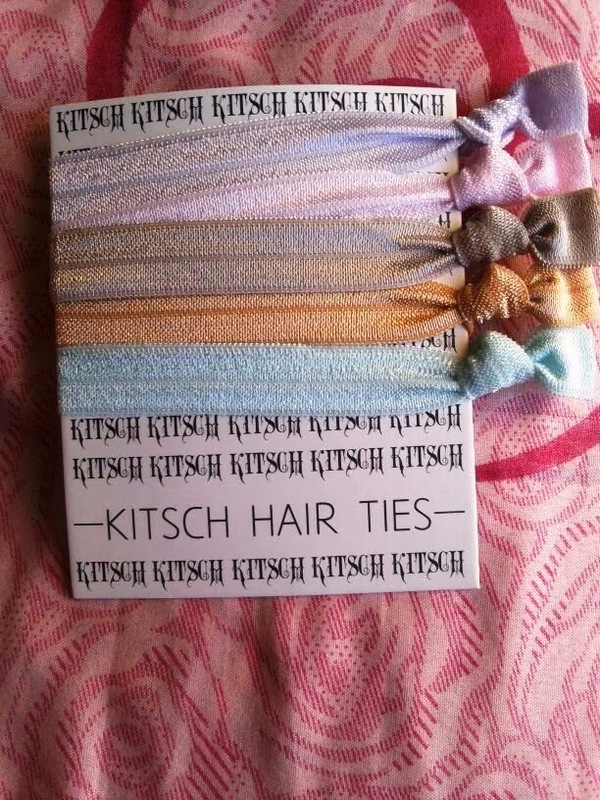 Kitsch hair ties are seriously the BEST! Thanks for visiting my blog and congratulations on your blog! Oh very cute dear, is the dirst time than I see this but looks very cute! Yeah, notes like this are very sweet! 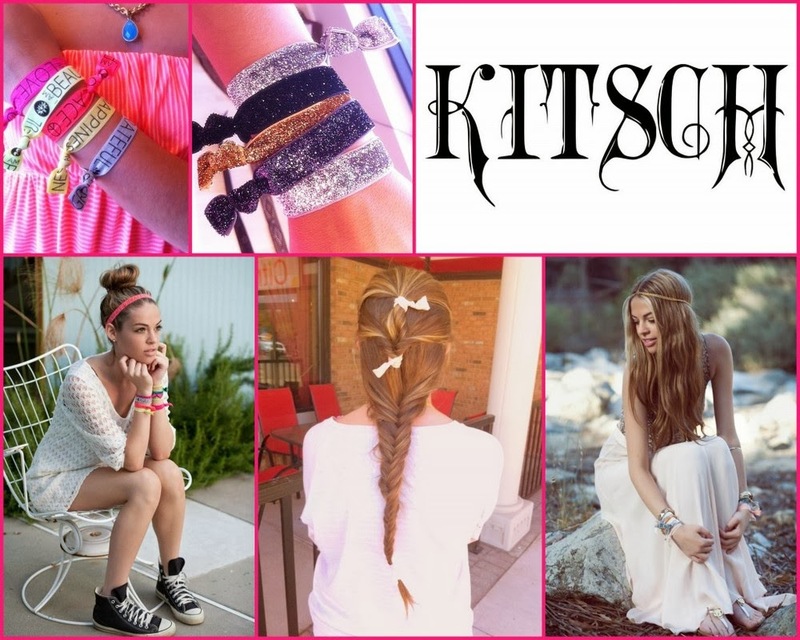 I´d wear them as bracelets too ;) Great idea! I've seen them at Free People and Nordstrom! I always wondered if they were sturdy or not. I have rally thick hair and sometimes my ponytail will not stay up...so I have to use 2 hair ties. And sometimes they break lol. You made me want to buy them now lol.